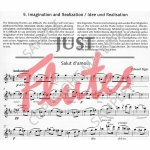 In this volume, the teacher Robert Winn from the Cologne Academy of Music has compiled a collection of 133 tunes which shall spur on and encourage flutists to listen to and play also music composed for other instruments as well as different styles. From the repertoire for strings, piano or voice, symphonic music, chamber music, solo literature and operas, he has compiled a repertoire that shall contribute to the discovery of elements which are imperative to the development of the performer's interpretive skills and the flute sound. The ideas presented in the present edition are the result of his experience as a flutist in major international symphony orchestras and chamber music ensembles as well as a studio musician. This new book from Robert Winn contains 133 beautiful tunes from right across the classical repertoire. 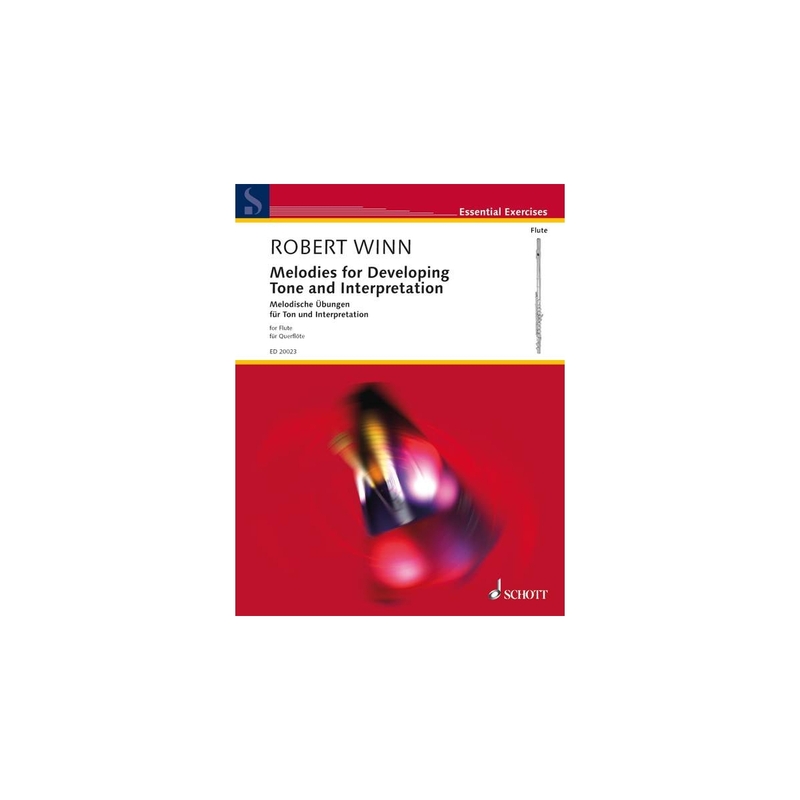 The teaching philosphy behind it is the same as that of Moyse in his tone development book, and indeed the two are compatible - if you like Moyse, you'll like this! There are 5 chapters in all. The first, The Words, uses tunes as diverse as Gluck's Che Faro and Lerner and Lowe's On the Street Where You Live, prints the words and enourages you to sing first in order to see how the voice rises and falls. Chapter 2 links major and minor keys whilst the Melody and Harmony section recommends listening to the tunes in context first. 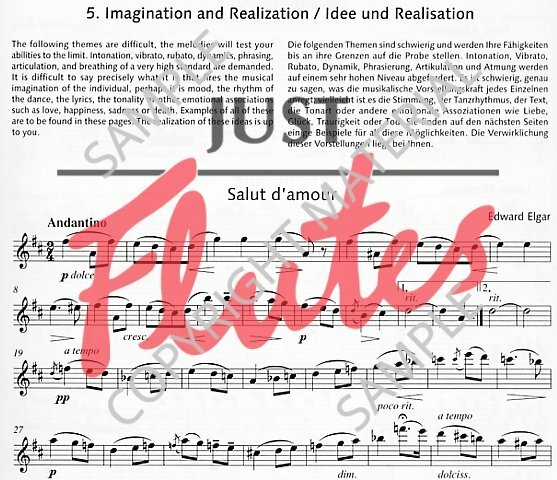 The fourth chapter deals with the high register with some real first flute tunes included (Pearl Fishers and O mio babbino for example) as well as favourites such as the Intermezzo from Cavelleria Rusticana. The final part, Imagination and Realization, concentrates on 'intonation, vibrato, rubato, dynamics, phrasing, articulation and breathing' and "will test your abilities to the limit", and again there are many wonderful melodies to found here. It could be argued that we don't need another book like this but this is a good way to rediscover what the flute is all about - the marvellous sounds we have at our disposal are sometimes overlooked in a flurry of fast fingers. It also enables us to indulge in some good old-fashioned melody-making and as such this book is both a challenge and a delight.